After a successful return last month with the release of three colourways, the Jordan Alpha 3% Hoop is set to make waves once again anytime this month! The Jordan Alpha 3% Hoop, which was first released in 1999 and came back last month with a much improved design will come out in Black/Stealth – Black colourway anytime this month. 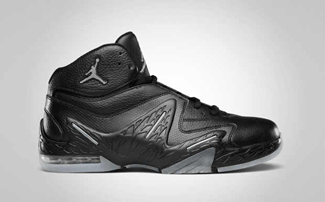 This simple yet stylish edition features an all-black, with carbon fiber-esque touch, parts accented with stealth on the outsole and the Jumpman logo on the tongue. Can’t get enough of it? Expect this shoe to come out anytime this month!